Has 26 recipes, 2 public recipes. Has 110 flavors in inventory. Xela supports All The Flavors. Upgrade yourself. 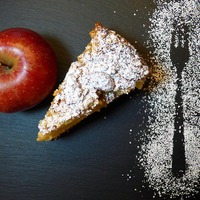 A sweet and delicious apple pie with a good note of cinnamon. Poire belle Hélène (German: Birne Helene) On exhale you get the ripe pear which lingers with the VBIC and ends in only creamy VBIC. Dulce De Leche gives it a hint of chocolate while meringue adds a bit more depth and sweet to it. Let it steep for one week.